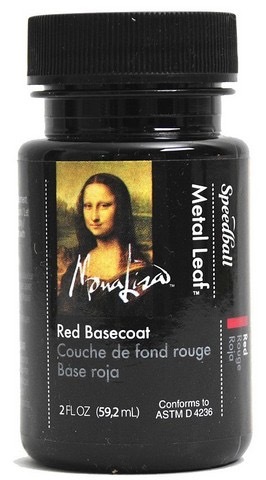 This red basecoat for metal leafing is a water-based Venetian red color that will add a deep red luster to leafing projects. Provides excellent coverage as well as seals the project before leafing. Cleans up with soap and water. Made in USA.